The Thing (2011) depicts Norwegian research scientists in Antarctica as they discover an alien spacecraft. 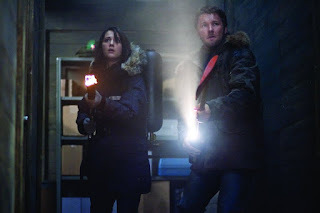 Rather than alert an international security agency or gather a team of crack scientists (or both), lead researcher Dr. Halvorson (Ulrich Thomsen) instead hires young researcher Kate Lloyd (Mary Elizabeth Winstead, Scott Pilgrim vs. The World) to help with the excavation of this alien “thing.” The first 30-40 minutes of the film contains essentially useless exposition, and outside of the two leads’ sketchily defined motives, no one at the research station seems to have any reason to be okay (or not okay) with thawing out a potentially lethal specimen. It’s just a rote fact on their daily checklist. Even if the Thing was friendly, it might have some space virus to which humans have no immunity. This beginning act of the film utterly fails to generate any excitement or build any tension. Fortunately, once the alien Thing is unleashed and begins terrorizing the base, the film mostly redeems itself. The Thing works like some sort of bacteria that can take the form of what it infects. It’s impossible to tell who is infected when, which give the franchise its trademark paranoia. A few reversals of fortune, several tense showdowns and a handful of creepy monster effects (an agreeable combination of CGI and physical models) really go a long way to making this film enjoyable on a pure genre level. It’s difficult to discuss 2011’s The Thing without mentioning the 1982 version of the film directed by John Carpenter. Not only is the new Thing billed as a prequel, it cribs many of the same setups and scenes from the 80s version. Therein lies The Thing’s greatest problem: it doesn’t have its own identity. While the filmmaker’s reverence for the 1982 is certainly worthy of celebration (they take great care to account for many props found in the 80s film and keep the predecessor’s R-rating), it’s telling that the most stand out moments are borrowed ones, right down to the most exciting part of the score being lifted from the earlier film. This new film doesn’t even have its own name, which makes differentiating the two difficult, not to mention differentiating the two movie titles and the actual creature. With a few more risks and perhaps some greater character development, this film could have been a real treat to newcomers and fans alike. Unfortunately, it is a fan service that wasn’t rabidly clamored for in a franchise the coveted teen audience is probably only familiar with by proxy of siblings or parents. So, while it’s actually pretty decent as far as these “Things” go, it doesn’t live up to its full potential as new stand-alone film. 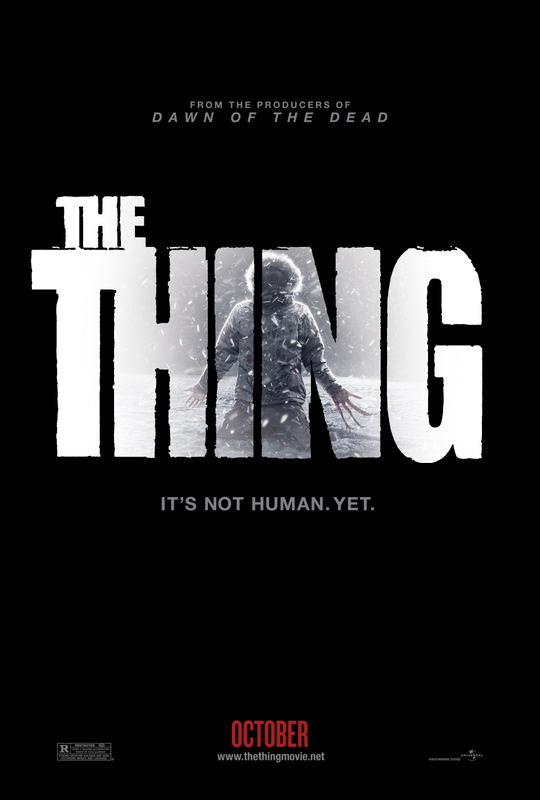 The Thing (2011) was directed by Matthijs van Heijningen with a screenplay written by Eric Heisserer. This film is the third cinematic outing based on John W. Cambell, Jr.’s short story “Who Goes There?” Joel Edgerton, Eric Christian Olsen, Adewale Akinnuoye-Agbaje, Kristofer Hivju and Kim Bubbs round out the ensemble cast.